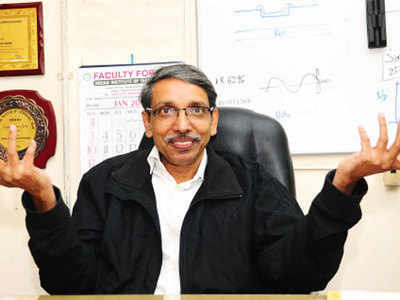 Breaking his silence over the controversy that brought Jawaharlal Nehru University (JNU) into national political spotlight, JNU Vice-Chancellor M Jagadesh Kumar told ET he doesn’t “desire any external interference” on his campus and wants all differences “to be tackled intellectually”. “Differences of opinion need to be tackled intellectually. As a teacher and an administrator, I would like to moderate and sensitise the students about this,” Kumar told ET in an exclusive interview. He also underlined the autonomy of his institution and assured that its internal mechanisms were capable of handling the current episode. “JNU is an autonomous organisation and it can solve its challenges using its internal mechanisms. Like any other university, we do not desire any external interference,” Kumar said, suggesting that JNU Students’ Union President Kanhaiya Kumar and his colleagues will be taken to task for breaching discipline by going ahead with the February 9 event despite the authorities denying permission. “Punishment that we are going to give is on the basis of breach of university discipline, rules and norms. There are norms for it,” Kumar said. The JNU V-C, however, steered clear of the charges of sedition against students saying it was for the courts to adjudicate. He also clarified that the police were not ‘invited’ into the varsity campus. “Sedition or not is for the courts to decide,” Kumar said, adding, “We never invited or called the police. It was a case filed outside JNU for which police had a right to enter (the campus)”. Kumar, who is still a PhD guide to 10 students at IIT-Delhi, took charge as JNU V-C barely weeks before the controversy and has chosen not to speak much through this period. But he refuted all charges of any clampdown on the campus, asserting that “freedom of expression in JNU is intact… I do not believe JNU to be so weak that one or two sporadic incidents would dent its image”.